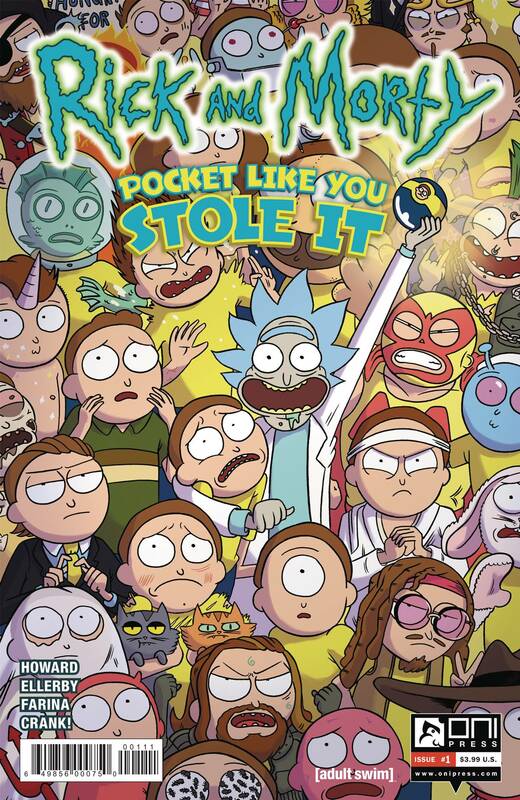 Rick and Morty: Pocket Like You Stole It is a new comic book miniseries based on the popular Adult Swim television series and inspired by the Pocket Mortys mobile game! In this five issue series, Morty is on a quest to free himself (and all the other Mortys) from the clutches of Ricks, who collect Mortys and force them to battle one another for schmeckles and glory. Along the way, he'll discover the grisly history of Morty battling, the dastardly lengths that Ricks are willing to stoop to in order to win, and perhaps? the strength in himself that's needed to free the Mortys once and for all?